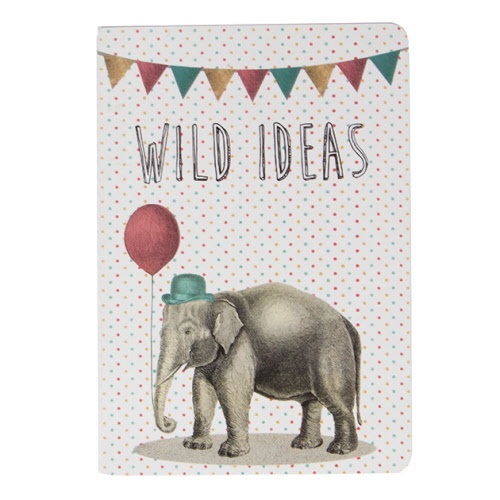 Ensure you always have a pocket full of wild ideas with this fun and handy notebook. With a delightful illustration of a charismatic elephant in a party hat, holding a balloon (yep, that's right) this item is full of thoughtful details. Even the back cover comes in a stylish chevron print. It has plain pages inside so it's perfect for jotting, doodling, writing lists and creating a mini masterpiece.